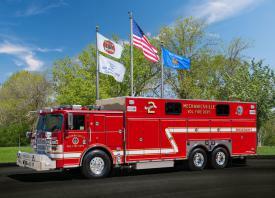 "Proudly Serving with Pride, Dedication, and Commitment Since 1934"
Calendars are Still Available! Buy Online Today for $50! At 15:23 hours, Rescue Squad 2 and Chief 2 made the response to Company 1's first due for a MVA with entrapment. Chief 1A arrived to find two vehicles in the road with one on its side with the operator trapped. 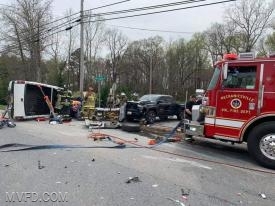 At 1540 hours, Rescue Squad 2 was alerted to Charles Street and Keech Road in Charles County for the motor vehicle accident with entrapment. Crews arrived on scene to find three vehicles in the roadway with one patient confirmed trapped. 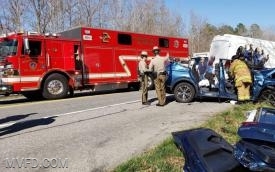 The patient was extricated in ten minutes and turned over to EMS personnel. 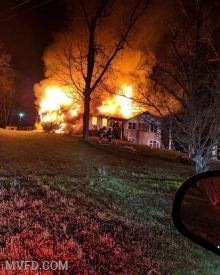 Volunteers operated on this overnight house fire in Charlotte Hall. Mechanicsville Volunteers operating on Three Notch Road at Point Lookout Road after three vehicles collided in the intersection. 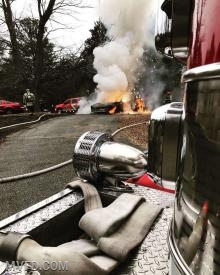 At 12:31 hours, Company 2 and surrounding departments responded to a reported vehicle on fire near a house. Chief 2, Engines 21, 23, and Squad 2 made the response moments after dispatch. Chief 2 arrived and advised a vehicle well off in the front yard and to hold it with units from Company 2. Eventually the assignment was scaled back to Engine 21 and Engine 23. 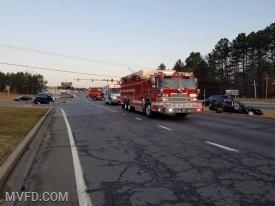 At 2011 hours, Rescue Squad 2, Squad 1002, EMS Stations 29, 1002, and SMALS were alerted to Thompsons Corner Road in the area of Bethel Church Road for the Serious MVA, reported one patient trapped and unconscious. Rescue Squad 2(Capt. Raley) and Rescue Engine 22(Lt. Busl) marked up responding immediately with 12 volunteers. Engine 21 and Squad 1002 marked up moments later. Feel free to look around and leave comments in our guestbook.